These popular clinics cover a variety of shots designed to help you lower your score and increase your enjoyment of the game! Whether you are looking to cure your slice, add more distance or shave strokes around the green there is a clinic designed to improve each specific area of your game. Sign up for one or all of these fun clinics! Bring a friend and sign up soon~ these clinics fill up fast! Limited to 8 Students Registration required! 1. Click on a session below to Reserve your spot on-line. Friday, June Putting~ No more 3-putts! Friday, June Full Swing with Woods~ Unlocking power sources in your swing! Friday, June Trouble Shots~ Uneven lies & secret shots the pros use to get out of trouble! Friday, Sept TPI Swing Faults & Fitness Fixes~ Basic physical screens assess physical reasons you swing the way you do! Note: Putting, Chipping & Trouble Shot Clinics will meet at the Putting Green. Pitching, Full Swing & TPI Clinics will meet on the Practice Range. Want to maximize your Practice Time & make sure you are Practicing Correctly? Discover how to practice with purpose while honing your golf skills under the watchful eye of your professional in one of the Training/Practice Sessions listed below. Multiple sessions will be offered throughout the summer & are a perfect compliment to Lessons! Looking for a spring tune up? Get your game in gear with this fast paced 90 minute hands on Full Swing Training Session! We will focus on the proper fundamentals of a good impact position plus understanding cause & affect in your golf swing. We will start with small swings and work our way up to bigger swings with the driver! You will learn effective ways to practice with purpose while incorporating games, drills & various training aids if needed. These sessions are a wonderful compliment to lessons. This popular session sold out every week last season~ Pre-registration required! Pay at the clinic~ either cash or check payable to Sheryl Maize. Step #1: Reserve your spot today: Schedule coming Soon! Need to get the rust off your short game? This 90 minute Training Session will help you get your touch and shot making skills dialed in around the greens. It will be a time of learning & practicing the proper mechanics for putting, chipping & pitching plus ways to train and practice. Notes are available! These sessions are a great compliment to lessons. Pre-registration required as groups fill up quickly! Pay at the clinic ~ either cash or check payable to Sheryl Maize. New initiative started this year through the LPGA. Sheryl is excited to be one of the first LPGA Teaching Professionals in the country to offer this special class to introduce Women to the game of golf in a comfortable non-threatening environment. Dates and Times will be posted in April. 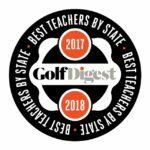 If you are looking for a Golf School experience without leaving the Twin Cities, then this School is for you! With almost two decades of experience teaching golf schools in Florida, Pinehurst, NC and ICELAND I’m thrilled to bring my Amaizing Golf School to Lakeville, Minnesota! We will cover the fundamentals of putting, short game and full swing. Your learning experience will be enhanced through the use of the latest video analysis technology~ you will be emailed a copy of your swing! During this fast paced school, you can expect to create an understanding of cause & effect as it relates to your golf shots plus you will leave with specific drills to help develop improved skills. Sheryl is excited to incorporate VISION54 concepts to enhance her student’s learning & self-discovery. The book Play Your Best Golf Now by Pia Nilsson & Lynn Marriott~ coaches to numerous LPGA & PGA Tour players is highly recommended. The school will include 4 hours of instruction, range balls, healthy snacks, an instruction notebook and a free 9 hole pass! Bring a friend and enjoy the most affordable & “Amaizing” Golf School experience in the Twin cities! Limited to 6 students, minimum 4. Sign up with a friend today! Looking to drop your scores without changing your swing? Working on your Short Game is the ticket! Sheryl’s Amaizing Short Game School will cover the fundamentals of putting, chipping, pitching and bunker play as well as basic green reading, alignment and distance control for each shot! With the new practice bunker, you will learn the skills and drills needed to drop strokes in no time! School includes Amaizing Short Game Manual, healthy snacks & 9 hole golf pass. Grab a friend and sign up today! Limited to 6 students, minimum 4 Sign up with a friend today! To sign up print a Registration Form and return to Sheryl Maize at Crystal Lake Golf Course. Schedule conflict? Have your own group? 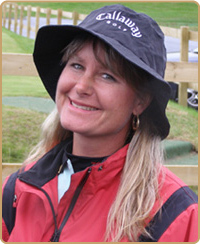 Contact Sheryl to schedule or design your own Golf School. Sheryl is also available to custom design full day schools, power schools, Corporate Clinics or Golf Workshops for your group! Sheryl is excited to host the lastest teaching on green reading that will help you make more putts, gain confidence and reduce your scores! Used by Stacy Lewis and several PGA Professionals including Adam Scott, this clinic will help you determine direction and degree of breaks on putts quickly. AimPoint Certified Instructor Andy Thompson will lead this ground breaking teaching. Sign up today! Open to Men and Women looking for insights into course strategy and management. We will also look at shot making from various lies and situations. You will not want to miss this unique opportunity to learn the secrets of decision making while on the course. Space is Limited~ Must reserve your sport. Sign up today! We will meet out on the patio overlooking the practice range.